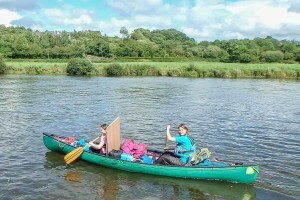 CCKA members flat water paddle of the Lower Bank with camping on Loughan Island. 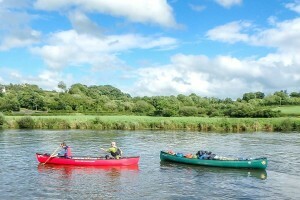 CCKA members paddled the beautiful stretch of the Lower Bann from Drumaheglis Marina down to Loughan Island. 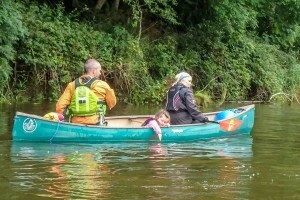 There was a great turnout for this flat water paddle. 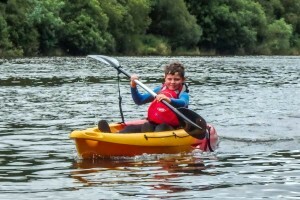 There were canoes, sea kayaks and sit on tops. It was great to see so many juniors turn out with their families. After the usual shuttle, we were under way. The first stretch was busy with speed boats and water-skiers. This added to the excitement as we had to deal with the wake kicked up by the passing boats. The weather forecast was mixed but the trip was only hit by one downpour on the way to the campsite. 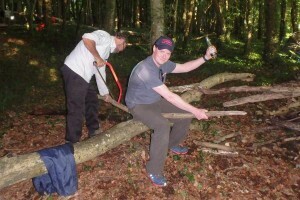 The group stopped off at Camus to collect the remainder of the camping gear. It was apparent that most people had brought a lot of kit. 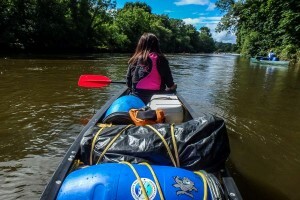 We even had to tow a canoe full of equipment as there was so much. 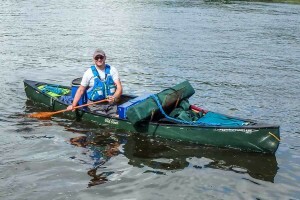 Thats the advantage of a canoe. You really can bring the kitchen sink! After a short paddle down stream, we reached our campsite for the night, Loughan Island. Everyone picked their spots and set up camp. 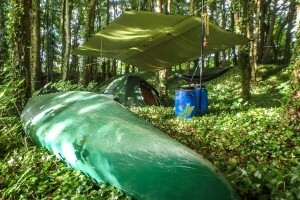 Steve and Glen really put the rest of us to shame with their camping setup. 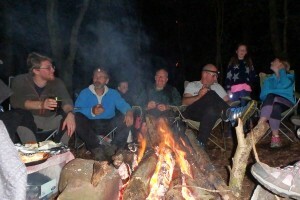 Once everyone had setup we settled down to the getting a fire lit and cooking our food over the grill on the fire. 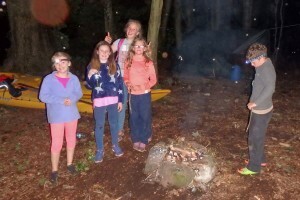 The kids were great and also set their own fire to roast marshmallows to make smores. As night set, we entertained ourselves with games and a few drinks. 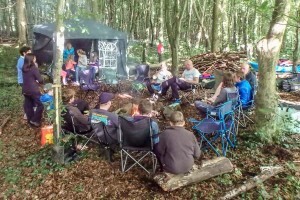 The camp was roused bright and early to the sound of clanging pans, The signal that Glenns 8 hour slow cooked ham was ready for breakfast. Glenn had prepared the ham and buried it in the hot embers of the fire overnight. After this tasty breakfast it was time to collapse camp and paddle home. 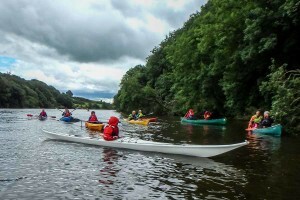 Due to the heavy overnight rain, some decided to paddle downstream to Castleroe and the rest battled upstream back to Camus. It was a great camp, thoroughly enjoyed by all who took part.